Rightlook.com Is The Industry Leader In Paint Protection Film Training & Equipment Since 1998. Clear Bra Paint Protection Film (PPF) is the hot new service that is taking the auto aftermarket industry by storm! Customers everywhere are learning about the benefits of Clear Bra, and seeking professionals to apply Paint Protection Film to their vehicles. 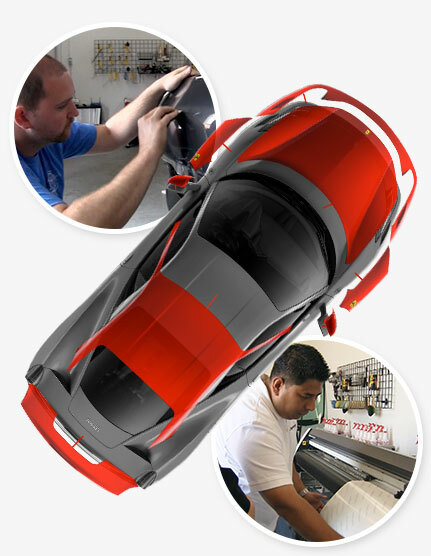 Rightlook.com is leading the way in the paint protection industry, offering professional Paint Protection Film training, equipment, and kits for Clear Bra installation. What is “Clear Bra” Paint Protection Film? Clear Bra Paint Protection Film (PPF) is a clear plastic adhesive film that is used to protect the paint finish on a vehicle’s impact zones, such as the leading edge of the hood and the bumper. Clear Bra invisible film is strong and durable, providing protection from nicks, stone chips, abrasions and bumper scuffs. Clear Bra Paint Protection Film can also be used to protect headlights from cracks, scratches, chips, yellowing and hazy buildup. Paint Protection Film comes in rolls ranging from 6” wide to 58” wide, backed with clear adhesive. Patterns to fit vehicles are then custom cut on a plotter, and installed on the impact zones of the vehicles using special techniques. Paint Protection Film serves as an invisible shield for the vehicle, offering abrasion resistance and protection for the front impact zones of a vehicle. This strong, durable film resists yellowing, and can be polished and waxed to maintain a shiny appearance. More and more consumers are opting to protect their vehicle investments with Clear Bra Paint Protection Film, and many drivers are even choosing to cover the entire hood of their vehicle for the ultimate level of paint protection. Clear Bra Paint Protection Film is a growing trend, and thanks to recent technological advancements, superior results can now be easily obtained. The demand for this specialty service is growing, and skilled installers are earning impressive profits. Opportunities exist for retail sales to vehicle owners, as well as wholesale work with dealership accounts and corporate fleets. You can choose to operate as a mobile PPF technician, or offer Clear Bra Paint Protection Film services from a fixed location shop. Be one of the first to tap into this lucrative market! Start profiting now by offering this high-margin specialty service to all your customers! Clear Bra Paint Protection Film application makes a great stand-alone automotive aftermarket business, or a profitable add-on service for other auto aftermarket businesses, such as mobile electronics, window tinting, car washes, car dealers, auto detailing, paint touch up, paintless dent repair (PDR), and more. Rightlook.com is your one-stop shop for everything you need to enter the exciting Clear Bra industry. We were really impressed by the comprehensive Paint Protection Film training program and your awesome training center. Getting to use all the equipment and learn hands on was great! We are so excited to add Clear Bra to our menu of services! The Paint Protection Film training class was much more than I expected. The instructor was very thorough and definitely knew his stuff, and he pushed us to work hard and learn PPF the right way. I can see that Rightlook.com pays attention to the details. 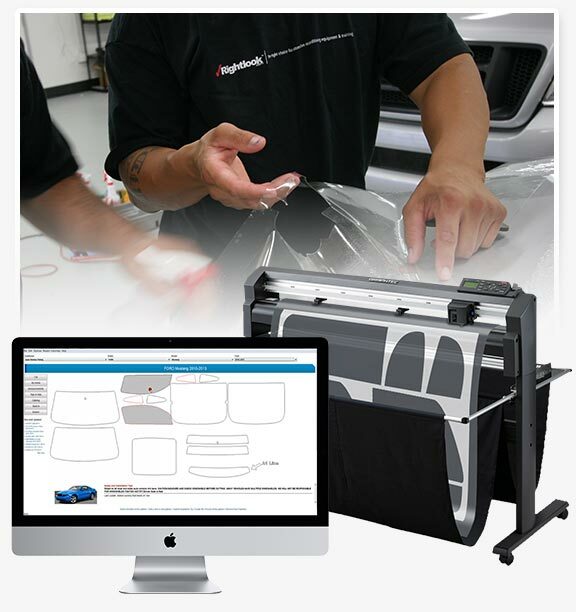 Request Paint Protection Film Training & Equipment Information & Pricing Today!